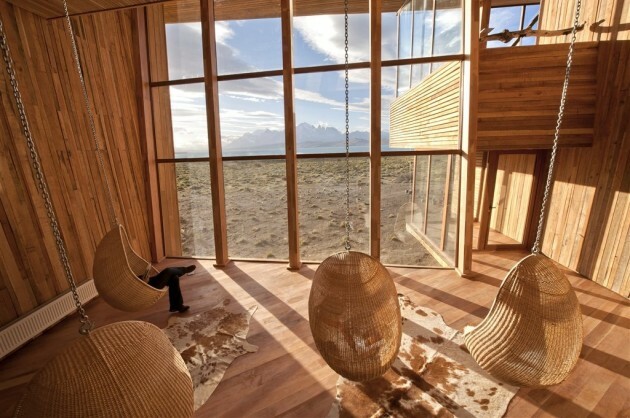 The hanging egg chair remains to this day a stylishly chic piece of furniture. Whether it is used indoors or outdoors, an egg-shaped hanging basket chair inevitably becomes the central point of any decorative scheme. Be it as part of a minimalist theme, or part of an eclectic blend of furnishings, the hanging egg chair will always add a bit of refined elegance to any space. 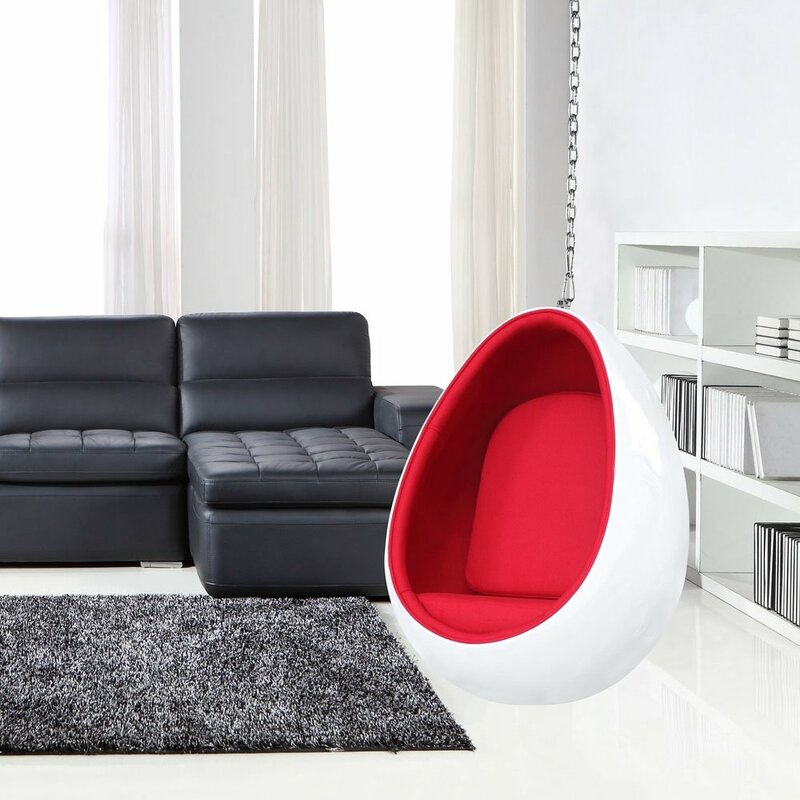 The Iconic Original Nanna Ditzel Hanging Egg Chair is now available in the USA market. 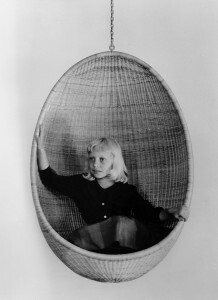 No single creation expressed this spirit more than her Hanging Egg Chair, designed in 1957, which was often featured in interior and fashion magazines. Suspended by a chain from the ceiling, this no-gravity chair suggested a liberated lifestyle, free from earthbound fears. Unlike other trendy or eye catching pieces of furniture that impress aesthetically, but fail in terms of comfort and usability, the hanging egg chair successfully combines form and function. It is as stylish as it is practical and comfortable. This is due to the way that the egg chair was originally designed by famed Danish furniture designer, Nanna Ditzel. 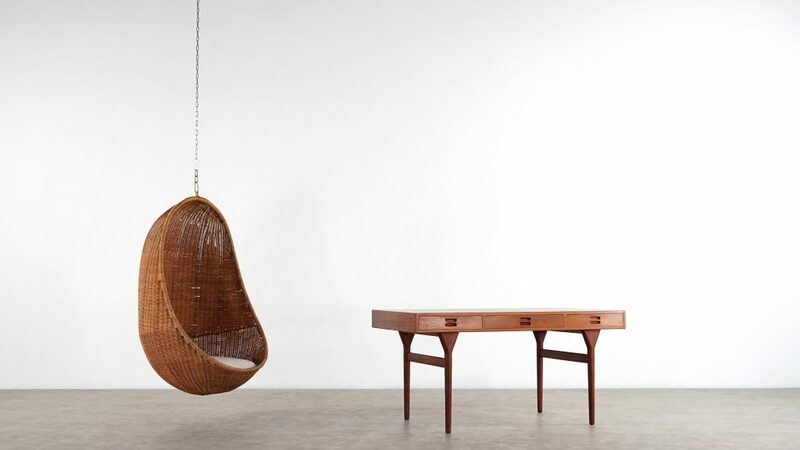 She incorporated the minimalist visual elements that characterized the “Scandinavian-look” of furnishings and architecture of the mid-1950s to 1960s period and combined it with the sturdy warmth of rattan. This design also allowed for diversity in terms of basket and cushion material, basket/pod color and even the option to create the same look and comfort by using a sturdy frame as opposed to the stand alone suspended chain. It is important to note that the fact that the original design used the wicker process for the sculpting of the basket eventually allowed for greater degrees of variety to be derived from it. Contrary to what many people assume, wicker is not a material, it is a process by which material is weaved together and given a shape. Rattan, a relative of the palm tree, is very strong due to its solid core and vertical grains. While its sturdiness could definitely resist outdoor use, it tends to fade when exposed to direct sunlight. 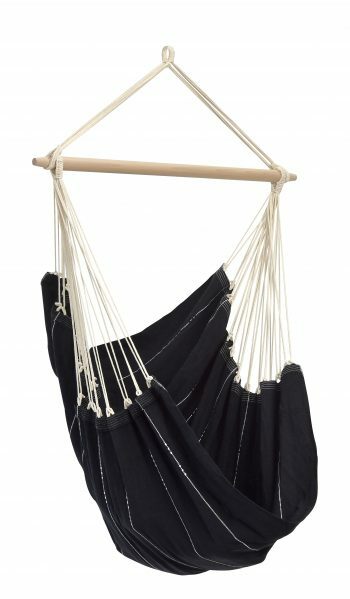 This makes rattan hanging chairs not suitable for prolonged outdoor use. The original look of the rattan basket, however, can be preserved even when other materials are used. The same wicker process and look can be accomplished with other material, such as polyethylene. By using this synthetic material, the egg chair is more resilient to moisture and weather, making it a perfect choice for a hanging egg chair with exterior applications. The look of the original design is maintained without the fear of fading. 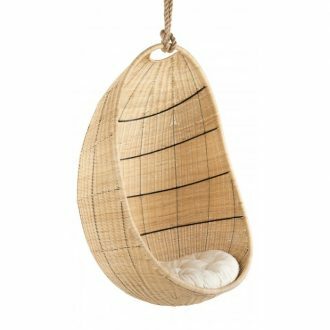 Other natural materials can also be used with the wicker process for hanging chairs. These include cane and bamboo. Due to the natural properties of these materials, the hanging wicker baskets made with them tend to have a more open look. The weave is broader, allowing for baskets with more air flow. While this removes some of the pod-like privacy characteristics of the original design, it does make the egg chair more practical for areas where improved air circulation is desired, or a more transparent look is sought as a part of the overall design scheme of the room. 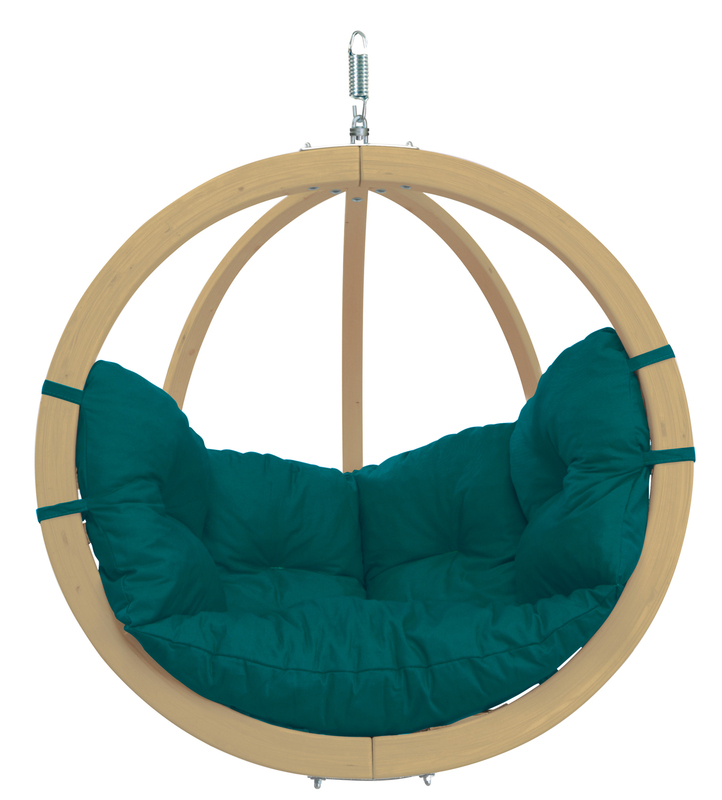 Hanging egg chairs can also be made using a process of sculpting and molding synthetic materials, such as acrylic and fiberglass (as bubble chair) into solid forms. This creates a solid basket that replaces the natural look obtained from rattan or other wicker weaved material with the cleaner and cooler look that comes from a smooth solid surface. 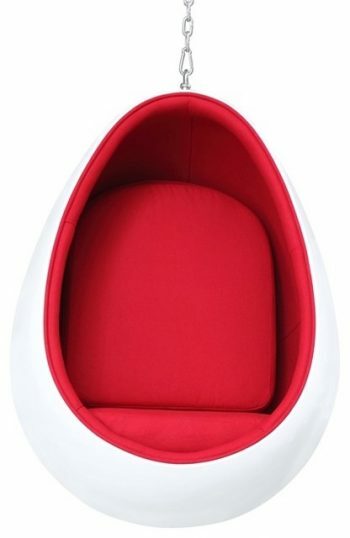 The end result does not deter from the original comfort and stylish properties of the original egg chair. It simply adds another element of style and design which creates further options in using such a chair. Excellence in design comes from creating an original concept that continues to perform its function in a timeless manner. Simultaneously, it must also continue to inspire new and useful variations derived from the original while staying true to it. That is what Nanna Ditzel’s iconic hanging egg chair achieved. Whether you select the original design or any of its variations or derivatives, a hanging egg chair will always bring with it impeccable style. It will also demonstrate adherence to a function that will make it the most talked about and the most used piece of furniture in any room that it is placed.